Product Forge and the Cancer Innovation Challenge are running an open cancer “data dive” event at CodeBase in Edinburgh from Thursday 15th to Sunday 18th June 2017. Entrepreneurially minded data scientists and analysts, clinicians, designers, and software engineers will spend 3 days and 3 nights side by side developing data focused projects to improve cancer care in the NHS in Scotland. This new data released for the event enables the development of tools and processes that could later, with appropriate NHS data control, be applied in real healthcare settings. The source code used for its generation will also be released, and there will be an opportunity to build on the original work on the synthetic data sets. Whether you already have an idea that you would like to prototype or you would just like to make new connections, we invite you to come along and meet talented people with a shared interest in innovation in cancer care. Use this opportunity to develop your career, gain new skills, network with professionals, meet potential employers or even kick-start your own company while working on an important subject that affects many lives. All our participants receive mentoring, 10 free meals and 24 hour access to the venue, and the top ranking teams can access support to develop their concept beyond the event, including further access to NHS experts and data. The Cancer Innovation Challenge is funded by the Scottish Funding Council and is a collaboration between the Data Lab, the Digital Health & Care Institute and Stratified Medcine Scotland. It is also supported by NHS National Services Scotland, the Usher Institute, the Innovative Healthcare Delivery Programme, The University of Edinburgh, the Nursing, Midwifery and Allied Health Professions Research Unit and Stirling University. Discover more about Cancer Innovation Challenge at www.cancerchallengescotland.com. AILEEN KEEL is seconded from Scottish Government to the Usher Institute of Population Health Sciences and Informatics at the University of Edinburgh to lead the IHDP. Aileen joined the Scottish Office as a Senior Medical Officer in the Department of Health in 1992. She is Chair of the Scottish Cancer Task Force, Co-chair of COMQI (Clinical Outcomes and Measures for Quality Improvement), honorary consultant in haematology at Edinburgh Royal Infirmary and has an Honorary Chair at the University of Edinburgh. Jude has over 15 years experience in Sales and Marketing in the Technology Sector working with B2B and public sector for companies like Dell, Firefly Communications and Xnet Data Storage. Jude has also worked in Academia at Edinburgh Napier University where she set up their commercial arm – The Edinburgh Institute - providing leading edge practice based executive education to Scottish Executives. Educated at the University of St. Andrews and Heriot-Watt University, Stuart pursued research in physics at Heriot-Watt and in Germany. Moving back to Scotland, he was part of the founding management team of Helia Photonics in Livingston. Stuart joined the Scottish Funding Council in 2005 and is currently Director of Research and Innovation. He brings his knowledge of the university sector and of the public sector support for Universities in Scotland and the UK. Andrew started his career in the NHS in 2004 and joined NSS as an analyst in 2006. After working on a variety of different projects broadly focusing on Health and Wellbeing profiles has recently undertaken the role of Data Scientist. He has a general interest in technology and acts as an Open Data champion for NSS. As 2013 Saltire Foundation Fellow, Manuelle has recently finished an executive and leadership training in Babson College, Boston. This programme helped her develop and comprehend entrepreneurial and leadership skills, which combine with a strong life science background to develop her interest in drug development and pharmaceutical field. Ken has 15 years of experience with health and social care data with particular knowledge in A&E data, Health and Social Care, and data on Older People. He has experience in Data Science and has a growing interest in Python and Machine Learning. He was also a mentor at the past Future Health Product Forge. Ian was a member of the winning team at the Local Transport Product Forge in May 2017 & has since mentored the CDD, ETIC and Public Health Product Forges. He began his graduate career working at QMU, and later moved to the Scottish Funding Council for Further and Higher Education where he worked in strategic planning and grant giving. Ian trained in evaluation with Manchester Institute of Innovation Research and holds a Postgraduate Diploma in People & Organisational Development from Roffey Park Institute. Josh currently works for Public Heath England as Technical Architect for National Disease Registration. He has also worked as an Application Developer and has worked at JPMorgan Chase. Alex joined the Information Services Division part of NHS Scotland in 2013 after graduating with a degree in stats from the University of Glasgow. Focusing on skills and interests in open data and data innovation, he became one of the organisations open data champions focusing on the use and publishing of data that ISD are delivering. More recently, Alex has been working within mental health services focusing on improving access of these services on both national level and more locally with NHS Highland. Brian has 17 years experience in analytics and software engineering, across domains including Telecoms, IT and Digital. He joins the Data Lab from Skyscanner where he launched and grew the Business Intelligence team. Prior to Skyscanner, Brian held analytics and engineering roles with Sumerian and HP. Grahame works with key public sector, academic and private sector organisations to develop innovation collaborations that seek to introduce new innovative healthcare solutions, that have been researched, evaluated and evidenced as being cost effective. He is keen to offer post-event support to any projects that show the potential to greatly improve the health of the citizens of Scotland. Idon is an Innovation Consultant with extensive experience of developing and embedding digital health innovation, solutions and processes to problems. He brings broad knowledge on commercialisation, research and ethics, technical architecture, governance and cloud software development experience across Europe and North America having worked with SMEs and large FTSE 100 companies across a range of sectors. Mary recently returned to full time study after 30 years working in public health research, policy and delivery roles as well as hold an ESRC scholarship in the Scottish Collaboration for Public Health Research and Policy and the Physical Activity and Health Research Centre at the University of Edinburgh. She worked in NHS and the Scottish Government on a wide range of public health issues and represented the UK on a range of EU and global working groups. Dan is currently a student at Edinburgh College and works with vulnerable communities of young people, in particular trans including non-binary and intersex young people. He is also on Young Scot's 5Rights commission, consulting for the Scottish Government on how Human Rights can be protected in the digital world. Edinburgh native with experience in front end web development, product design and pitching. Previously participated in the Future Libraries and Future Health Product Forge events. Brian has a PhD in physics and has worked at Toshiba Medical for about 10 years. He is currently a team lead for in the Image Analysis group that develops signal processing and machine learning algorithms. Thomas is the Business Development Manager at The Data Lab, with 17 years of experience in Energy & Data Science Industries. Steph is a Project Development Manager at The Data Lab Innovation Centre and manages the Cancer Innovation Challenge, a Scottish Funding Council funded project to encourage open innovation in data to improve cancer care in Scotland. Her diverse background started in astrophysics and then went through film, dance and then back to the sciences in genomics, then carbon capture and storage and now data science. She can offer insights into general communications, project management and innovation in healthcare. I'm the founder and managing director of Product Forge - Product Forge run competitive hackathons with a product focus. We nurture talent within Scotland’s digital technologies sector though inclusive open weekends as well as corporate events. The format is simple - pitch an idea, form a team, build a prototype. Our experienced teams make it a unique and engaging experience. I started to work for Product Forge in October 2016 as Project Coordinator. I am a French National and graduated from Pierre et Marie Curie - Sorbonne Université with a Master 1 in Molecular Biology and a Master 2 in Health Marketing. This led me to work in the Medical Devices Industry for one year as a Junior Product Manager before moving to Scotland in 2015. I am a passionate individual with strong interests for Literature and the protection of the environment. I joined Product Forge as Events Coordinator in October 2016. I grew up in San Francisco before moving to Scotland for university where I graduated with a Politics degree from the University of Glasgow in 2015. In my spare time I volunteer with Scottish Faiths Action for Refugees, and enjoy playing competitive rugby and football. Born in Edinburgh. A Digital Media Global graduate with a passion for storytelling. Currently working as videographer at Product Forge. Cristina’s background is in marketing, designing and event organising within small and international companies. She is currently the Events Coordinator, however she joined Product Forge as the Marketing Assistant, being responsible for the communications before, during and after the events. This is a past event and registration has now closed. 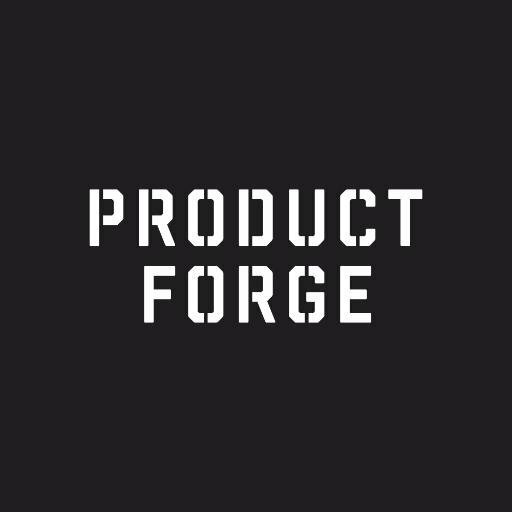 Product Forge bring together developers, creatives and entrepreneurs to build new products that solve real world problems. We run hackathons with a twist; our hack events develop teams and products that tackle society’s hardest challenges. Participants use design thinking and digital technology to rapidly prototype their ideas, with support from mentors who have real world commercial experience. Read more about our flagship event format. We host livestreams for a range of technology, design and enterprise events, including exclusive interviews with startup founders and entrepreneurs. If you would like us to livestream your technology, business or product focused event please get in touch. Subject to availability we offer this as a completely free service for volunteer run meetups and conferences. Or, if you’re organising a hackathon, jam, co-design or other hack day event, lets have a chat and find out what we can do for you. Our team have been involved in the delivery of dozens of hackathons and startup events. Questions about attending an event, hackathons or startups more generally? We’ve got you covered; check out our FAQ section. Members receive complimentary tickets to Product Forge events, full access to our Slack community, and exclusive content and support. Learn more. Members receive complimentary tickets to Product Forge events, full access to our Slack community, and exclusive content and support. Please note that complimentary tickets are subject to availability; you must be a member at the time of registration and attendance; membership renews on a monthly or annual basis; at this time members must be 18 or over. Low frequency newsletter about our upcoming events only. Weekly email digest of all upcoming events, hackathons and livestreams from the Scottish tech startup community.